Tidy Up: How to Store Artist Paint Brushes Like a Pro! 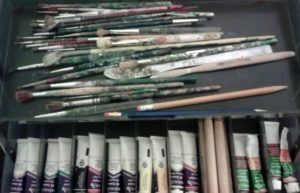 Learn how to store your artist paint brushes successfully and keep them clean, pristine, and at an easy reach! Art brushes aren’t cheap, as you may know…and even more expensive to replace if they get too messed up. Yep, I’m talking about choosing good artist brush holders. There are some that make them easy to transport from room to room (along with your other tools) and others that are more stationary. All of them will help keep and store your treasured brush collection on a dime! 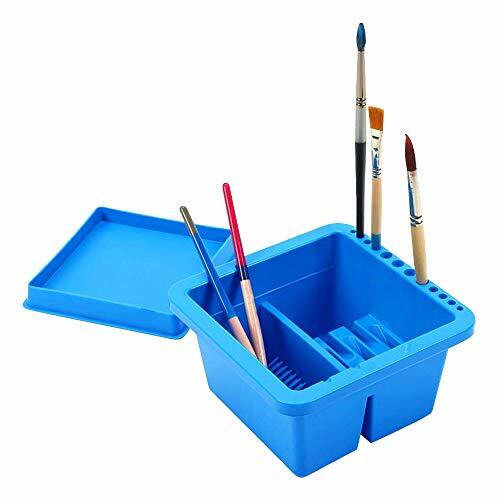 What to Look For in a Good Brush Holder For Storage? How To Store Your Art Brushes On the Go! To the left is my brush collection before I got it together – pretty messy right? 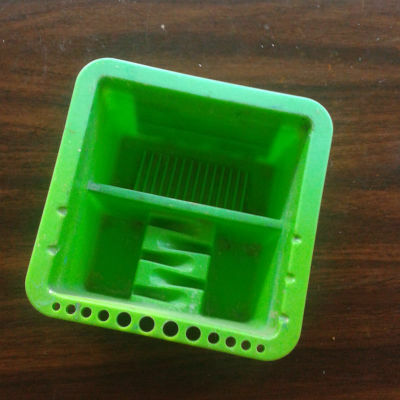 This storage bin’s top tray was designated for brushes; but it came with a flat plastic clear bin of which I have (whoops – my bad!) somehow misplaced. 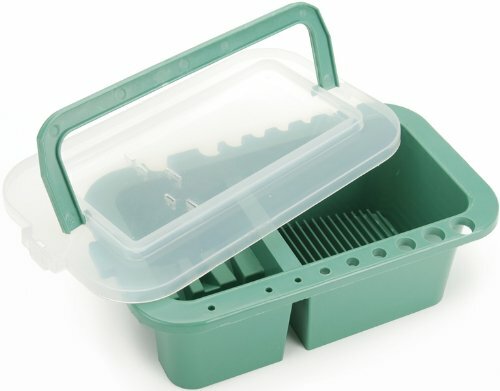 Some brush holders are designed to tidy up your passel of brushes when you’re working, and make them easy to retrieve. Sometimes I would make a habit of only picking out a few brushes to start with, because I know that all that cleaning could be a chore. 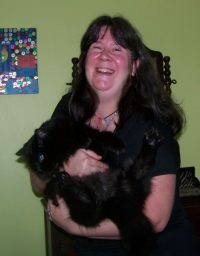 But once I got my hands on a special caddy it got more manageable. This brush basin became my BFF while painting – It has different sized holes to accommodate different brush diameters so all of your brushes from the skinniest liners to the wider flat brushes, stand up straight like little soldiers in a row. 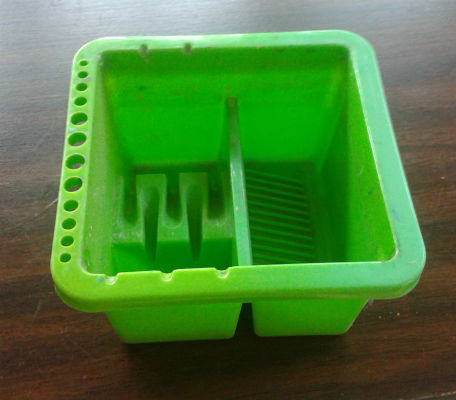 The inner compartment is designed to hold your brush cleaning substrate; it has inner grooves to assist with periodic cleaning. I love this thing, and never got set up without it! ⇒Adequate ventilation – The bristles get dipped in paint and solvent on a daily basis, and it’s important that they can air out to some degree; it will help lessen the smell, and help expedite drying too. ⇒Brushes should not be on top of each other – They each need to have their own slot or opening and be able to spread out so the bristles will retain their shape. ⇒Brushes need to be either lying flat or standing up straight, bristles pointing upward. 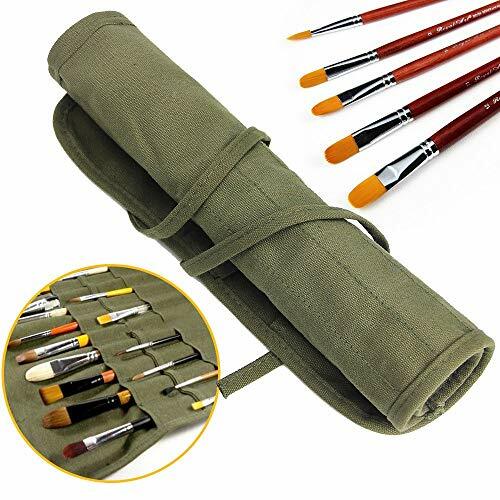 If you’re an artist, or maybe even an art student taking classes, and you find yourself traveling or needing to go from place to place with your supplies in hand, it’s probably going to be a hassle to have to lug around bulky containers – including that with which you could be storing your brushes. 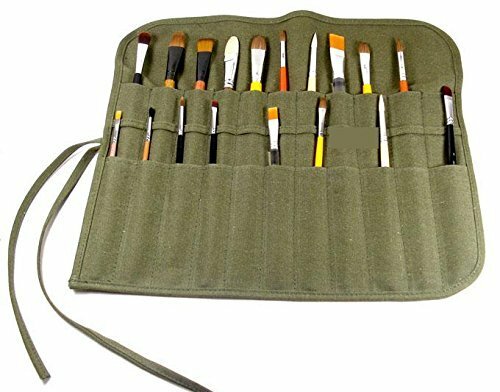 I got this idea from my art professor in college – he had one of these fold-out cases with little slots in it for each of your brushes. 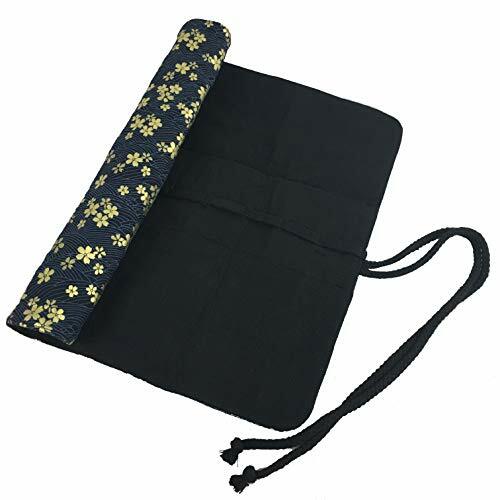 You could roll it up and tie the attached strap around it, and be good to go! I was able to locate some of these and I must admit I’m envious – I wish I had had one of these when I was taking classes! Another great thing about it is that the ends are open, which allows your brushes to get adequate ventilation so they aren’t stuffed into a closed space (which could ultimately warp the bristles). 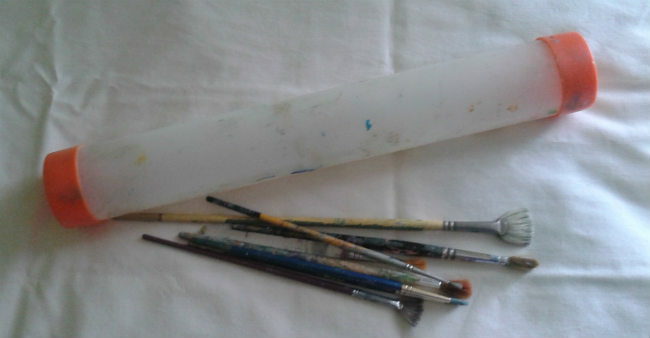 This long plastic tube here is what I had to keep all my brushes in for my painting class. I really like it (and still use it) only problem is that it’s a closed container – it smells pretty “painty” whenever I open the cap to get a brush out. I solved that problem by drilling a few holes for ventilation in each end which worked well. Other than that little bugaboo, it’s another good way I stored my brushes in between sessions doing work. Thanks for letting me show you how to “brush up” artistically here! I know from experience that it is easy to get careless and let a brush get slightly damaged and hard to get it back in tip-top shape. You took the plunge and bought high-quality brushes with the intent of them lasting long, now give them the security and protection they deserve. 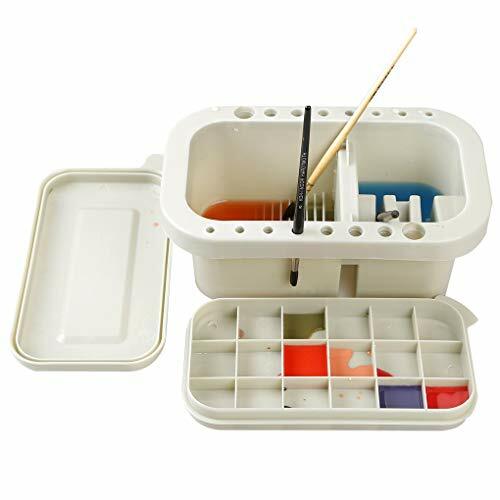 Now you know exactly how to store your art brushes – enjoy your newfound, chaos-free painting ease and flow!